UK electro- pop diva Charli XCX will be heading back to America this fall for a series of U.S. tour dates. She will kick off the American leg of the tour in Portland on August 31st, head through most of the Northeast and Texas in September, and close out in Orlando on December 2nd. 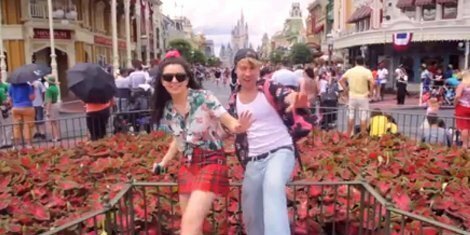 To promote the tour, Charli's videographer boyfriend Ryan Andrews compiled some old tour footage and spliced it together over "What I Like" to create the video above. Watch it and see what you have in store for you at a Charli show. Ryan Andrews also worked on music videos for Charli's songs "Nuclear Seasons," "You Ha Ha Ha," and "What I Like." Check out the tour dates below to see when you can catch Charli live.